At this time of year, with the announcement of cyclocross world championship teams happening, there are always many questions about how a rider is selected, how many riders each nation can bring, and who did what. Many of these questions, are answerable, some are discretionary and are not easily answerable. The system can be murky and I wanted to supply the rules and policy considerations behind the decisions that lead to many of these questions. This information may not lower your level of overall confusion, but at least it will allow for you to enhance your confusion with actual facts. Below you will find information on how a rider can automatically qualify for nomination to the 2019 Cyclo-cross World Championship Team. In cases where there are still available start positions after the automatic qualification process, those positions may be filled via discretionary nominations according to the USAC discretionary selection procedures. More information regarding USAC discretionary selection procedures can be found in the “Team USA – International Events” section of the USAC website. After any discretionary selections, athletes may qualify for the team through further Final Selection criteria. USA Cycling will manage logistics (food, housing, event transportation) for ONLY the athletes and staff who are selected by USAC to the World Championships Team. USA Cycling will NOT be responsible for or manage logistics for professional team managers, private coaches, professional team staff, athletes’ families, spouses, friends or significant others. It will be the responsibility of these individuals to make separate arrangements for housing, food and transportation and they will be responsible for all costs related to any separate arrangements they might make. Additionally, these individuals will NOT be credentialed as part of the Team for this event and will therefore not be allowed in the USAC Team cabin(s) or pit areas unless specifically granted that privilege by the Team Manager. Nominations will be based on final, official results from the qualifying events identified in this document as qualifying criteria. Mechanical problems and crashes are a part of cycling. Therefore, USAC will not consider an athlete’s position or placing in an event or events at the time the athlete experienced a mechanical problem or crashed or went off course as a determining factor for selection. The number of athlete start positions per event and category is determined in each event by the relevant governing body (UCI). These nomination procedures have been developed based on the most recent information supplied by the UCI regarding the events, athlete participation, team qualification and team size. USA Cycling’s nomination procedures may be subject to change based on the final international and domestic racing calendars and/or updated information from the UCI. Athlete must be eligible to represent the United States in a UCI competition at the time of nomination. 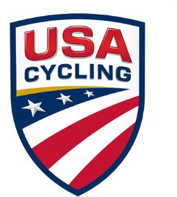 All nominees must have a valid USAC International Racing License and meet all eligibility requirements of USA Cycling and the Union Cycliste Internationale (UCI) at the time of nomination. All athletes must be in good standing with USAC, UCI, and the United States Anti- Doping Agency (USADA) at the time of nomination. For athletes qualifying for the team via automatic selection criteria, and at USA Cycling’s option for Discretionary Selection and Final Qualification criteria, USA Cycling will provide one economy class, single destination airfare, which includes up to 3 pieces of luggage: Up to two bikes or one bike and one wheel case, plus one suitcase each under 50lbs (excess weight or additional bag charges are responsibility of the athlete). USA Cycling will also provide competition and casual clothing, lodging/food, ground transportation at event location, all mechanical/race support, and TravMed insurance throughout duration of the event with USA Cycling. Athletes must confirm their intent to stay with the team no later than January 18th, 2019 in order to be guaranteed lodging and support. Athletes who do not meet the Automatic Qualification criteria but are selected to the team via USA Cycling Selection Committee Discretionary Selection criteria or by Final Selection criteria will be responsible for self-funding through a “Team Service Fee” payable on or before the date outlined in this document. The Service Fee for this event is $1,600.00. This fee includes: competition and casual clothing, lodging/food, ground transportation at event location, all mechanical/race support, and TravMed Insurance throughout duration of the event with USA Cycling. Level 2 self-funded athletes are responsible for their airfare and excess baggage expenses as well. All athletes travel will be booked arriving no later than Wednesday, January 30th, and departing Monday, February 4th. rooms so lodging opportunities may be restricted. In the case of limited space, discretionary riders will be granted lodging options based on order of confirmations and payments received. Some riders may not receive National Team lodging depending on team size and the number of riders who choose to take National Team support. As a member of the USA Cycling World Championship Team, representing USA Cycling and the United States of America, you will be provided with competition clothing which you will be required to wear during all training sessions and competitions. Additionally you will be provided casual clothing that you will be required to wear at official team functions and while participating as a member of the team. Failure to comply with team clothing rules can lead to disciplinary actions including removal from the team. If any Level 2 Self-Funded athlete achieves a top three (3) finish in the World Championships, USA Cycling will refund the Team Service Fee and pay the fair market value of an economy class round trip airfare ticket to the event (excluding excess baggage costs) to such Level 2 Self- Funded athlete. Any USA eligible athlete who places in the top-five (5) at a UCI Elite Men’s World Cup event in the United States in September 2018. Any U.S. eligible athlete placing in the top-ten (10) at a UCI Elite Men’s World Cup event in Europe from October-December 2018. Any U.S. eligible athlete placing in the top-three (3) at a Telenet Superprestige Series or DVV Verzekeringen Trofee Elite Men’s UCI cyclo-cross event between the dates of October 7, 2018 and January 1, 2019. The top-three (3) ranked athletes on the UCI Individual Rankings as of January 15, 2019 provided those athletes are ranked in the top-fifty (50) overall. The winner of the 2018 Elite Men’s Pan American Cyclo-cross Championships provided that race is held in its entirety and run under UCI regulations. The winner of the 2018/2019 Elite Men’s National Cyclo-cross Championships (race held December 16, 2018) provided that race is held in its entirety and run under UCI regulations. this criterion than there are places available on the team, the athletes with the highest placing in a World Cup will be nominated. If two or more athletes achieve the same World Cup finish result, the athlete with the highest World Cup ranking as of December 27, 2018 will be nominated. The athlete with the most accumulated UCI Ranking Points from the following six (6) UCI Category 1 events. If any of the following UCI events are downgraded from UCI C1 race status, that event will not be used as a selection race. If any race not on this list is upgraded to UCI C1 status, it will be added in this list. If positions remain, then athletes may be selected according to UCI ranking among athletes in the Top 75 Elite Men as of January 15, 2019. Any U.S. eligible athlete who places first (1) at a UCI Elite Women’s World Cup event in the United States in September 2018. Any USA eligible athlete who places in the top-three (3) at a UCI Elite Women’s World Cup event in Europe from October-December 2018. Any U.S. eligible athlete who places first (1) at a Telenet Superprestige Series or DVV Verzekeringen Trofee Elite Women’s UCI cyclo-cross event between the dates of October 7, 2018 and January 1, 2019. The winner of the 2018 Elite Women’s Pan American Cyclo-cross Championships provided that race is held in its entirety and run under UCI regulations. 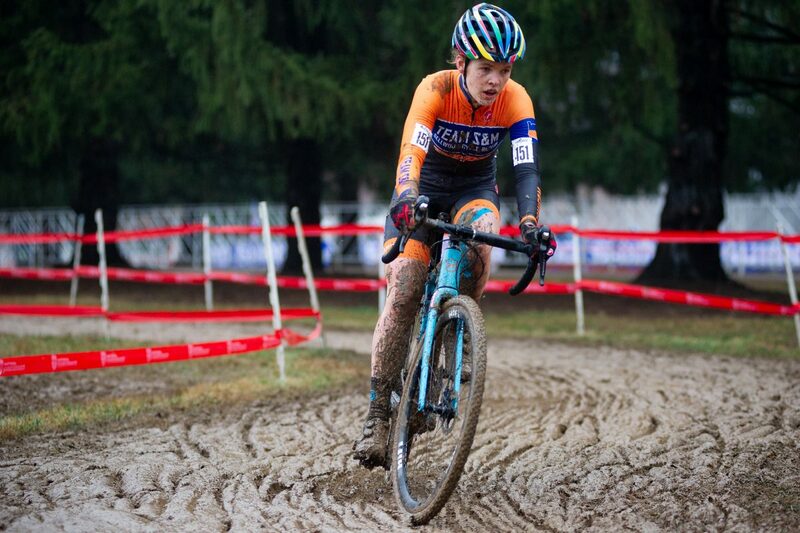 The winner of the 2018/2019 Elite Women’s National Cyclo-cross Championships (race held December 16, 2018) provided that race is held in its entirety and run under UCI regulations. Any U.S. eligible athlete placing in the top-ten (10) at a UCI Elite Women’s World Cup event between the dates of October 21, 2018 and December 26, 2018. If more athletes meet this criterion, than there are places available on the team, the athletes with the highest placing in a World Cup will be nominated. If two or more athletes achieve the same World Cup finish result, the athlete with the highest World Cup ranking as of December 27, 2018 will be nominated. The athlete with the most accumulated UCI Ranking Points from the following six UCI Category 1 events. If any of the following UCI events are downgraded from UCI C1 race status, that event will not be used as a selection race. If any race not on this list is upgraded to UCI C1 status, it will be added in this list. If positions remain, then athletes may be selected according to UCI ranking among athletes in the Top 50 Elite Women as of January 15, 2019. Any U.S. eligible athlete placing in the top-five (5) at a UCI U23 Men’s World Cup event between the dates of October 21, 2018 and December 11, 2018. Any U.S. eligible athlete placing in the top-three (3) at a Telenet Superprestige Series or DVV Verzekeringen Trofee U23 Men’s UCI cyclo-cross event between the dates of October 7, 2018 and Dec 11, 2019. The winner of the 2018 U23 Men’s Pan American Cyclo-cross Championships provided that race is held in its entirety and run under UCI regulations. The winner of the 2018/2019 U23 Men’s National Cyclo-cross Championships (December 16, 2018) provided that race is held in its entirety and run under UCI regulations. Any U.S. eligible athlete placing in the top-fifteen (15) at a UCI U23 Men’s World Cup event between the dates of October 21, 2018 and December 11, 2018. If more athletes meet this criterion than there are places available on the team, the athletes with the highest placing in a World Cup will be nominated. If two or more athletes achieve the same World Cup finish result, the athlete with the highest World Cup ranking as of December 11, 2018 will be nominated. pool of athletes, the highest placed rider at the 2018/2019 USA Cycling National Championships (December 16, 2018) will earn the automatic nomination. If positions remain, then athletes may be selected according to UCI ranking among athletes in the Top 150 Elite Men as of December 11, 2018. Any U.S. eligible athlete placing in the top-five (5) at a UCI Junior Men’s World Cup event between the dates of October 21, 2018 and December 11, 2018. Any U.S. eligible athlete placing first (1) at a Telenet Superprestige Series or DVV Verzekeringen Trofee Junior Men’s UCI cyclo-cross event between the dates of October 7, 2018 and December 11, 2019. The winner of the 2018 Junior Men’s Pan American Cyclo-cross Championships provided that race is held in its entirety and run under UCI regulations. The winner of the 2018/2019 Junior Men’s National Cyclo-cross Championships (December 16, 2018) provided that race is held in its entirety and run under UCI regulations. Any U.S. eligible athlete placing in the top-fifteen (15) at a UCI Junior Men’s World Cup event between the dates of October 21, 2018 and December 11, 2018. If more athletes meet this criterion than there are places available on the team, the athletes with the highest placing in a World Cup will be nominated. If two or more athletes achieve the same World Cup finish result, the athlete with the highest World Cup ranking as of December 11, 2018 will be nominated. The top placed American Junior rider of the Junior Men’s event at each of the following domestic UCI races will be placed into a World Championship pool. From this pool of athletes, the highest placed rider at the 2018/2019 USA Cycling National Championships (December 16, 2018) will earn the automatic nomination. If positions remain, then athletes may be selected according to UCI points earned at the events listed in selection criteria 5, 6 and 8. And are the UCI Rules for World Championships. For ranking purposes, the U.S. was a top 3 team for all categories. A World Championship shall be organized for the Men Elite’s, Women Elite’s, Men Under 23’s, Women Under 23’s (17-22 years old) and Men Juniors’ categories. Nations ranked from 1st to 5th 9 riders, with 6 to start All other nations 8 riders, with 5 to start. In the other categories, the number of riders per team is limited to 8, with 5 to start. The national federations concerned may additionally enter the outgoing world champions and the leaders of the final UCI Cyclo-cross World Cup Standings Men Elite, Men Under 23, Men Junior, Women Elite and Women Under 23. (text modified on 01.09.04; 25.09.08; 01.07.09; 14.10.16). 9.2.042 A UCI cyclo-cross world championship shall be organised for the men elite’s, women elite’s, men under 23’s, women under 23’s (19-22 years old), men junior’s and women junior’s (17-18 years old) categories. 9.2.044 The national federations concerned may additionally enter the outgoing UCI cyclo-cross world champions and the leaders of the final UCI cyclo-cross world cup standings men elite, men under 23, men junior, women elite, women under 23 and women junior.